Gremlins is kind of the Keyser Soze of horror movies, because parents didn't really know what they were doing when they showed it to us kids in the '80s. 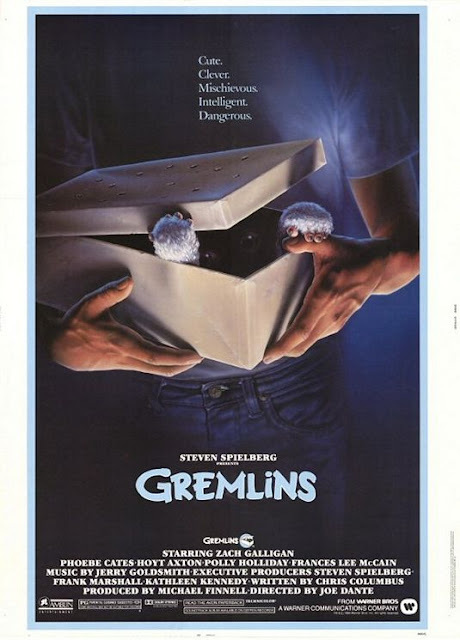 It had Steven Spielberg's name on it and a cute little marketable thing named Gizmo (and let's not kid ourselves, I STILL want a Gizmo), so they showed it to us. But really, when you break down what Gremlins actually is - which many parents did too late, leading to a minor controversy and the invent of the PG-13 rating by the MPAA - you start to notice that it's actually Joe Dante's vision of a kitschy 1950s' sci-fi/horror flick. 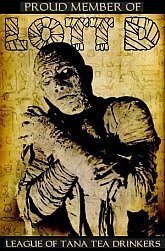 And, thanks to a lot of talented special effects people, Dante and company were able to create some surprisingly gory little critters and a level of monster carnage that entertains horror viewers of any age. While the monster effects of the film and some smart direction by Dante are the things that establish Gremlins as a horror film, it's a unique monologue that shows just how dark this film's vision is. When Phoebe Cates' character starts to recount why she doesn't care for Christmas, it quickly becomes clear that this is a film with an insidious taste for the dark side of cinema. People want me to say Critters, but I'm not gonna say Critters. Critters isn't fun enough to be in Gremlins' league. You know what is fun enough to be in Gremlins' league? Tremors! Tremors has to be Gremlins' western-flavored cousin or something. There's probably a really intelligent paper about society in small towns in horror cinema of that era that could draw upon the differences between these small towns. I'm not smart enough to write it - I'd probably have to use the term dichotomy, and that thing's a son-of-a-monkey to type - but I'm saying it could be written. A lot of people might tell you that Gremlins is the perfect horror movie for kids. But those of us that grew up with it know there's a little more to Gremlins than that. I'm not saying this is for adults only, of course, but there's a lot of stuff here - like that speech from Cates - that is too far gone for the littlest horror fans. But Gremlins is still a key piece of any introduction to horror for me, and the fact that it still plays so well to an adult horror fan is the ultimate testament to its greatness. I can see why parents would think this is a good movie for kids from the trailer. It's a little tricky with the Steven Spielberg connection, and those cute little monsters. It's funny to hear that deep voiced narration during the trailer. You just don't hear that anymore! I've strangely never seen Gremlins, but it looks fun.